Hunter tries the Holographic Prism he just built with an animated jellyfish. The prism was made from a CD case and our laser cutter, a Putnam County Community Foundation gift. If you’ve been following our blog, you might think Castlemakers is a just a kids focused nonprofit. That’s definitely how we started, but our mission is broader than that – providing and encouraging scientific and creative skills (i.e. STEM or STEAM) by creating opportunities for all. Much of our first two years has been providing youth-oriented opportunities, which is now being called Castlemakers Kids, but with our new makerspace downtown we can expand to all ages. 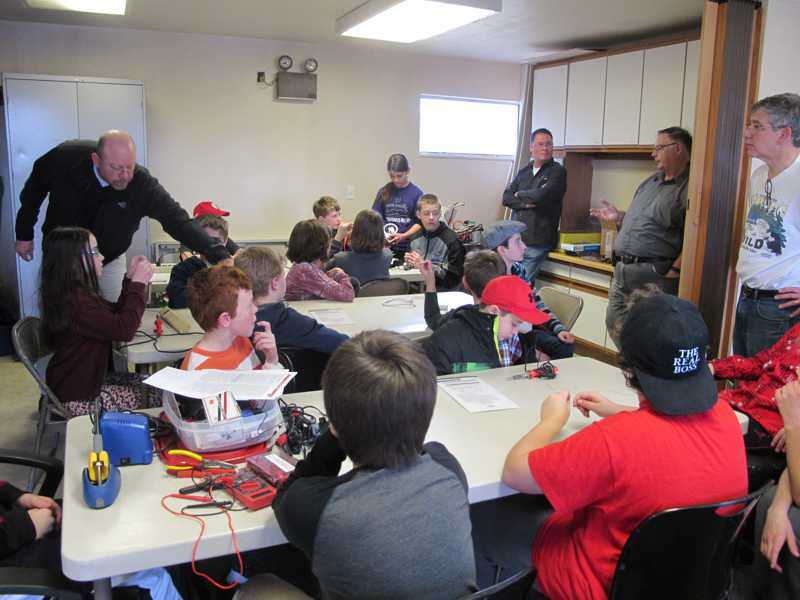 First learning to solder class, before we had a makerspace. Future classes will be for all ages. 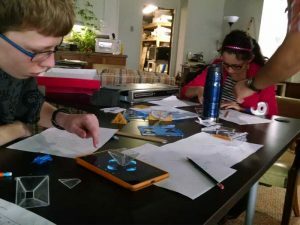 One way we’re doing that is offering community classes to allow people to learn, try, and build or make things that they may not have experiences with. Certainly software and some of the new digital fabrication tools like electronic cutters, 3D printers, and single board computers(i.e. Arduino & Raspberry Pi). But also how to use more traditional tools and then combining them with electronics/soldering, sewing/crafting (clothing with sensors/electronics are popular), woodworking, and fabrication. Watch for our first community class at the makerspace to be offered in soldering and electronics in March. 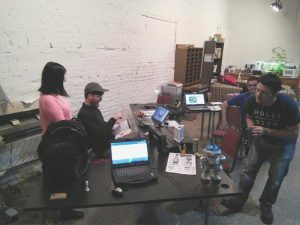 At our last 3DPO meetup, Curtiss scans a robot with a Sense scanner while John sets up a Makerbot 3D digitizer. A third way, using our physical makerspace, is a community location where people can share ideas, have access to tools and equipment, and create things. A place that will spur creativity and innovation in our community. Some of this is outlined on our what we offer page. You can also stop by and see for yourself, perhaps even build something if you’d like, by coming by sometime during one of our ‘open shop’ times where some of the people involved in Castlemakers can help you with a project or just explain/show you what we have. Better yet, get involved and participate – no experience is necessary and you’ll help our community grow!